As always Vince Flynn delivered. Lost a great writer of this genre. loaned this copy, so this is a replacement. If you like intrigue and fast action, this is the series for you. Follow the main characters (Rap) exploits. You will not want to put it down, thrilling! I have read all of Vince Flynn/Mitch Rapp's books and will continue as long as he keeps writing them. A change from routine political thrillers and very welcome. 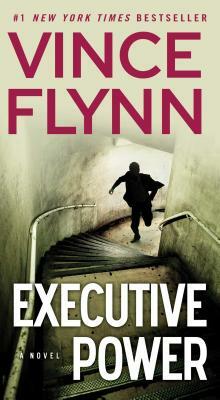 Vince Flynn's books are always very enjoyable and among my favorites. I love all of Vince's books. His books have an ultra patriotic central character and no moral relativism. Bad guys are bad guys and Mitch Rapp gets em. This book is basically clean, the spine worn, some, but overall in good condition.